Device Technologies is a leading, established distributor of quality and advanced medical equipment. The purpose of the event was educational, a wide range of guest speakers were invited to present, educate and demonstrate. 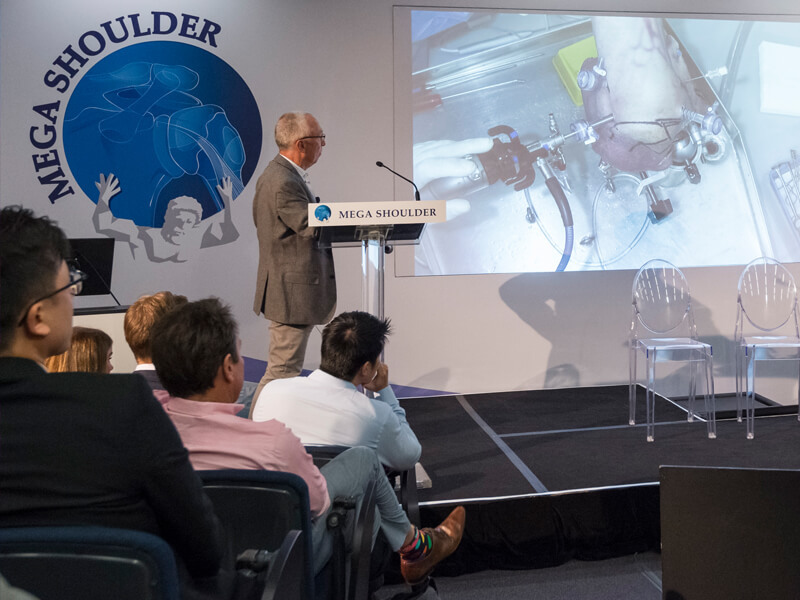 The event allowed 140 surgeons to gain knowledge in the latest techniques using new equipment via live demonstrations. 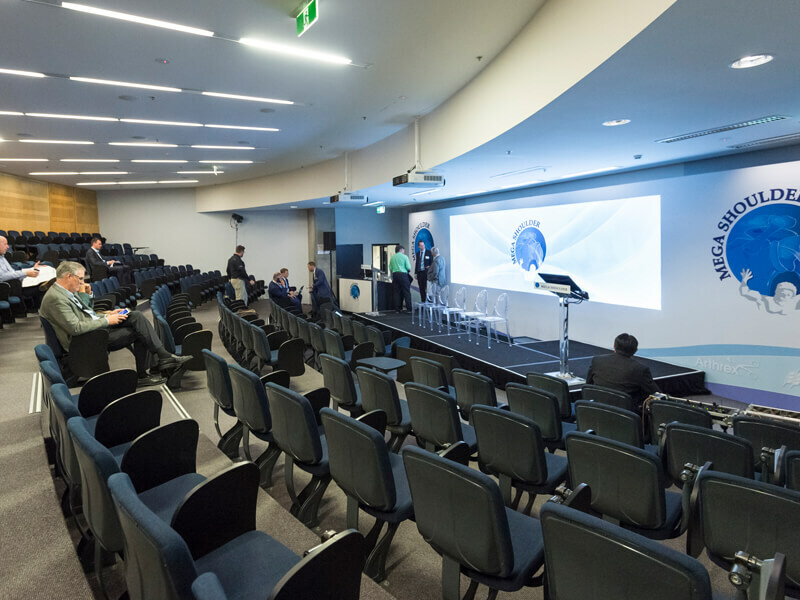 Haycom were appointed to provide the total audio-visual solution within the plenary, reception and operating theatre. Device Technologies required a seamless experience for their presenters and audience. The technical solution had to match their company brand philosophy and guidelines. The event held at Royal North Shore Hospital, was the first time the hospital had hosted an event so complex. 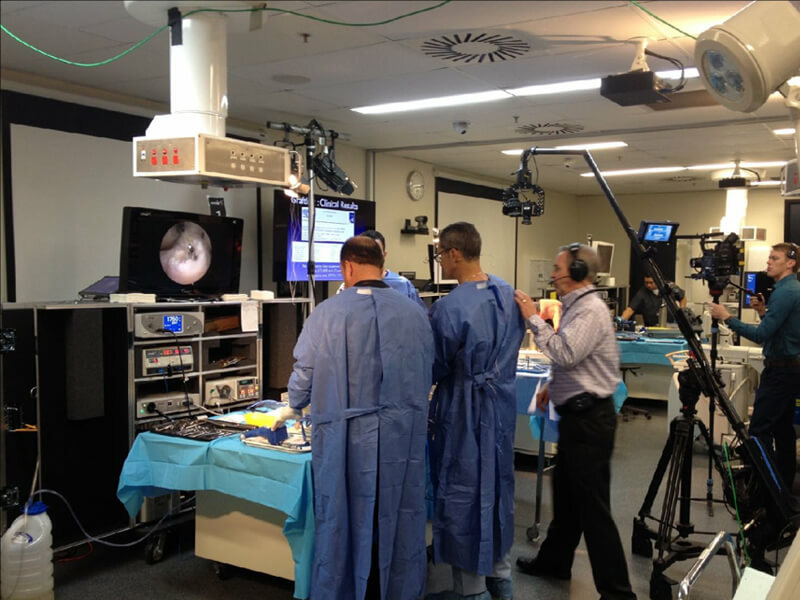 Due to NSW law, there was a need for camera feeds to broadcast the shoulder procedures using the new instruments. This was performed on cadavers streamed from the operating theatre for an audience in the main auditorium. 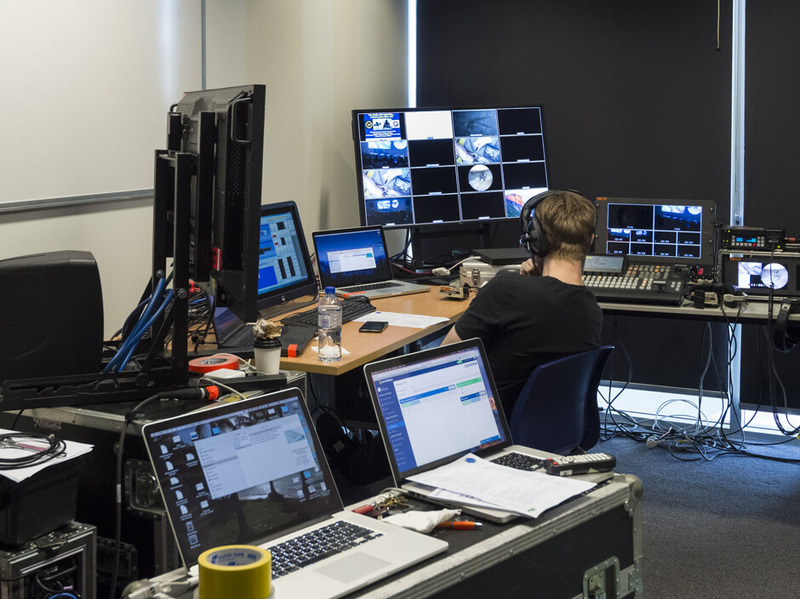 To ensure the live video feeds accurately recorded the procedures, Haycom ran multiple cameras, installed camera lighting, vision preview monitors, audio and extensive communication equipment. 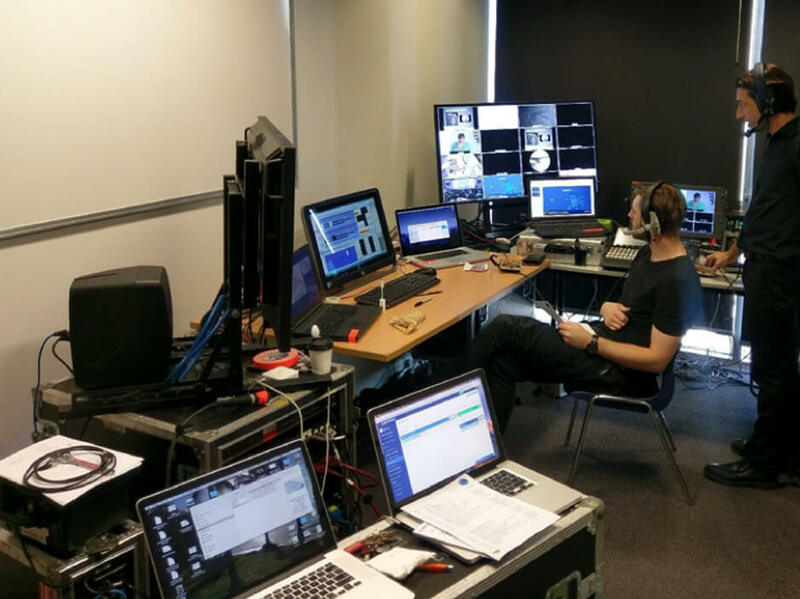 Live product demonstrations were also provided from the plenary into a large classroom. 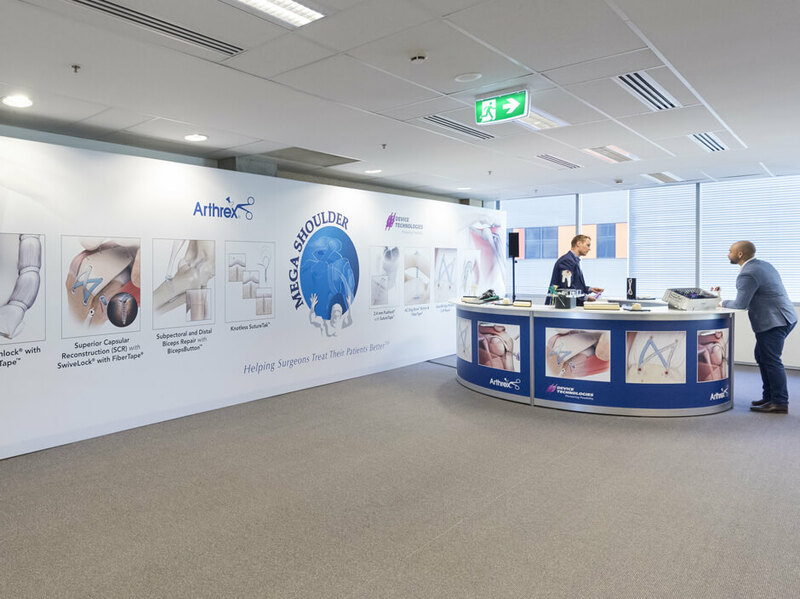 All of the signage for the event was installed and produced by Haycom in both digital and printed format to match the clients branding and mask unsightly areas. In collaboration with the Device Technologies team, Haycom was able to meet the brief and overcome challenges for all key stakeholders.